The Council of Fashion Designers of America has named the “Happy” artist their 2015 Fashion Icon. Announced Wednesday (March 18), the CFDA gave the honor to him due to his strides in style and his overall awesomeness as a person. “If cool was a person, it would be Pharrell, not just for his looks and sense of style but for his kindness and openness. I cannot imagine anyone not seduced by him,” Diane von Furstenberg, who is president of the CFDA, said in a statement. 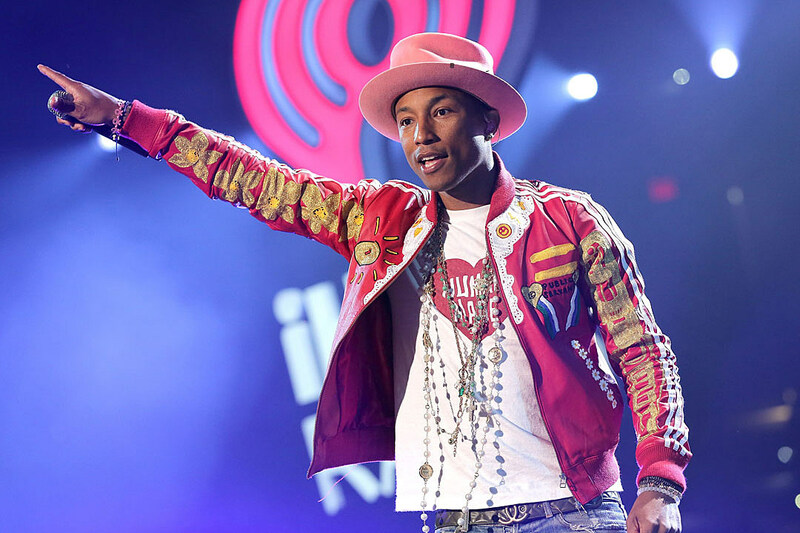 Pharrell will officially be given the award on June 1 at Lincoln Center’s Alice Tully Hall in New York City, but he seemed to be surprised by the news. However, he shared his gratitude on Twitter. The singer doesn’t only take fashion risks on the red carpet, but he is also a designer in his own right. He’s co-founded the Billionaire Boys Club line with BAPE owner, Nigo; collaborated with a number of brands including Adidas, Moncler sunglasses and Uniqlo; and worked on a jewelry line with Louis Vuitton. Clearly his qualifications are endless when it comes to fashion, so this award is well-deserved. The CFDA Fashion Icon Award was presented to Rihanna in 2014. At the event, the Bajan beauty wowed everyone by wearing a sheer floor-length gown that was covered in 216,000 Swarovski crystals. Previous winners of the award included Lady Gaga, Sarah Jessica Parker, Nicole Kidman, Johnny Depp and Kate Moss.